Once again it is the time of the year, when members of the public, and even sometimes unexperienced self proclaimed rescuers, find seemingly or truly orphaned nestling or fledgling corvids. Many of these people naively believe that it would be a good deed or potentially good fun to raise the baby bird by themselves. Others do the right thing, and bring the bird straight away to an experienced rehabber or rescue. Advice gets usually ignored and imprinting is pre programmed, which also means that the bird will not be fit enough to survive in the wild. Although it is legal to rescue and raise orphaned wildlife, it is only legal when done with the intention to release the animal back to the wild as soon as he or she is independent, experienced enough and well adapted to have a very good chance of survival in the wild. Having said that, raising a corvid by his or her own will most definitely result in imprinting and is unlikely to achieve that. The company of other birds of the same age, but also of adult birds is needed to learn the necessary social and survival skills. In fact, raising a corvid by his or her own means that this wild bird is intentionally imprinted. This can be regarded as an illegal act, but more importantly, it is unfair towards the bird. The bird will normally have a good chance to be released back into the wild, if he or she would have been in the hands of an experienced rehabber. These birds deserve exactly this chance, and should not be regarded as objects of experimentation or to make people feel good. 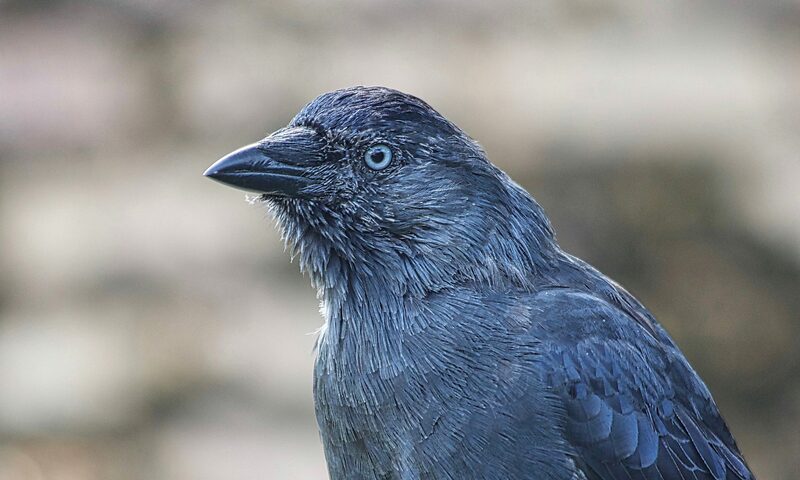 It is a widely known fact that corvids are extremely intelligent, curious but also destructive. This means that it will not take very long for a bored lone bird to take the household apart. 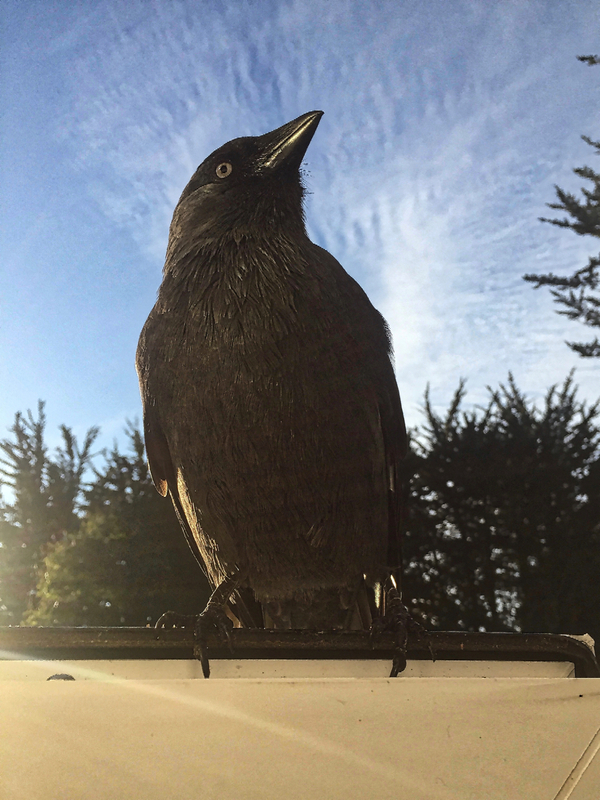 This often leads at some point to painful attacks on one or the other human or pet family member, who are potential competitors in the corvid’s view. The result is that very frequently these imprinted and suddenly unwanted birds are intentionally or ‘unintentionally’ released, or brought into a wild bird rescue under the disguise of a recently rescued bird in need of help. Sadly it is also a fact, that imprinting and releasing an imprinted bird back into the wild will most likely result into the death of the bird concerned. Only a few lucky ones are found and rescued again, after being released. 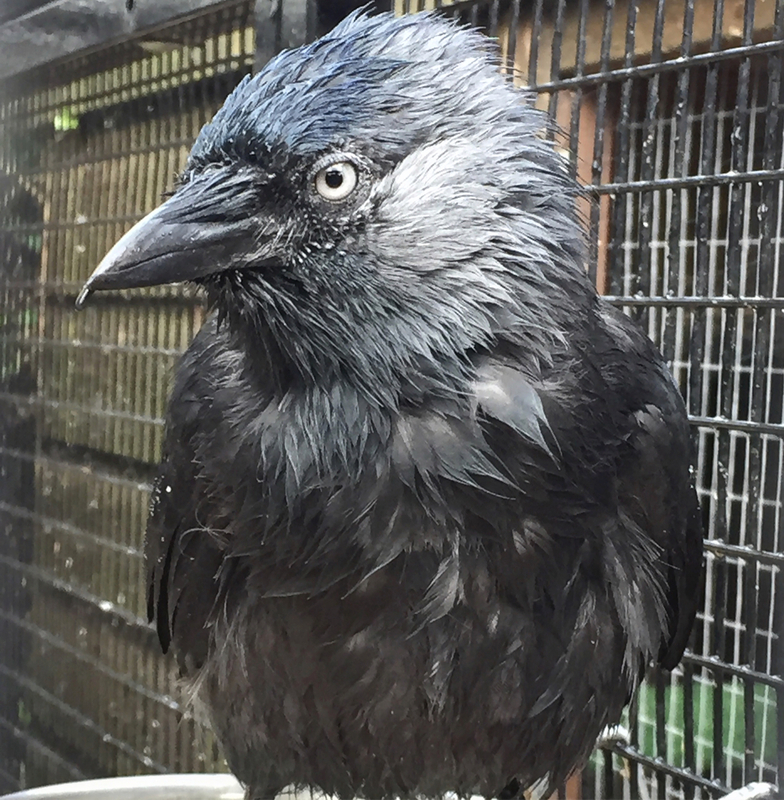 Raising corvids also often means that birds might need long-term care for a year or even longer, before they can be safely released. 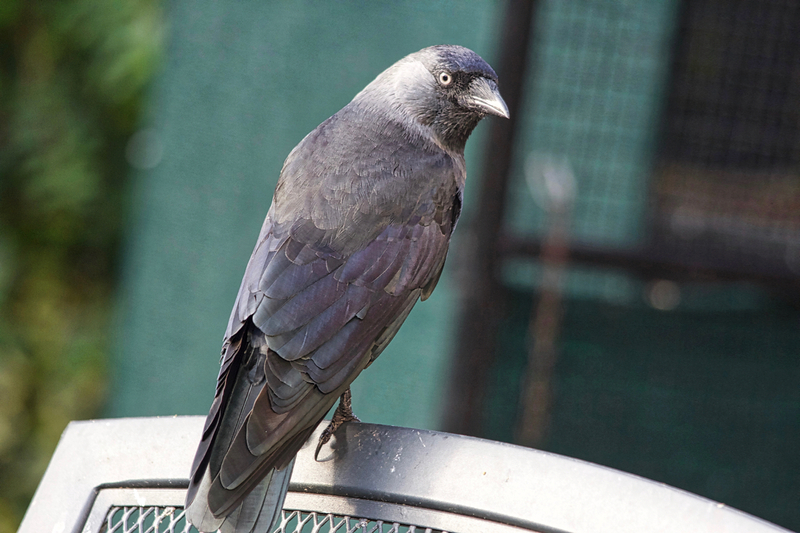 Long-term care of corvids requires large specialist aviaries with adequate enrichment, exposure, social interaction with wild and company corvids, space and shelter, something which can’t be done in a cage or indoors. For all these and some more reasons, responsible rehabbers are happily working together to exchange birds with the aim to raise them in adequate nurseries to achieve the best possible outcome for the individual concerned. Understandably, it might be tempting, seemingly easy to begin with and good fun to raise a corvid by his or her own. However, the truth is that it is simply irresponsible, selfish, and ignorant. It also clearly shows a complete lack of knowledge regarding the essential requirements a corvid and any sentient being deserves. If you believe you are an animal lover and you are raising a lone corvid, then prove it, think twice and find an experienced rescue before it is to late. Animals are not an object nor are the anyone’s property. They are sentient beings, who have a right not to be used, abused or experimented with.